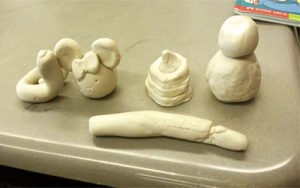 Our group decided to use clay as our activity for our first school visit. 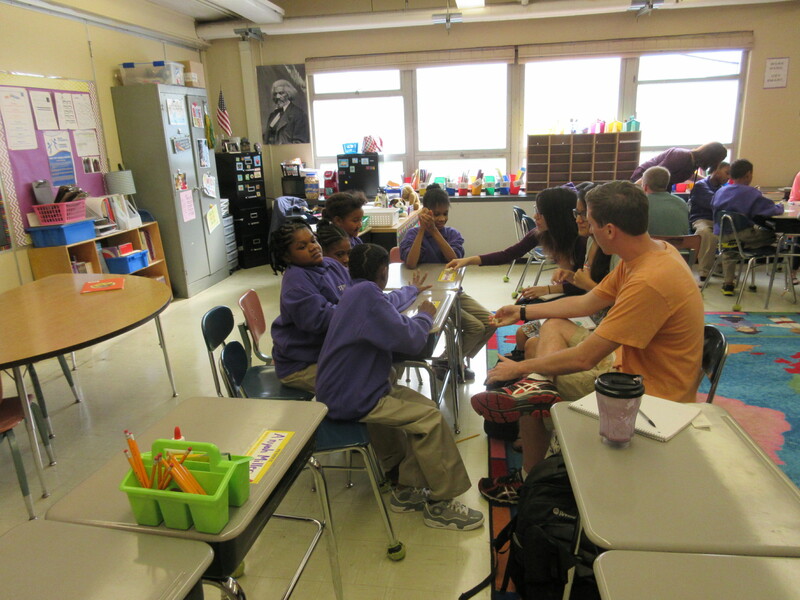 This activity allowed us to directly interact with each of the students on a more casual and personal level and permitted us to become comfortable with the students and them with us. We decided to go with this approach because we thought that a non-structured activity would allow for creative freedom and allow individual personalities to emerge, rather than having a structured activity that constrains the students with specific goals. We had three groups of students: two groups of boys and one group of girls. 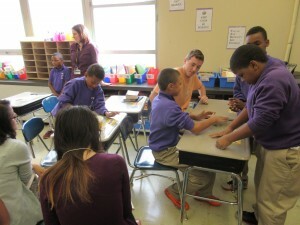 For every group of students, each student was given some clay to play with. Then, each group was asked the same two questions: “What is your favorite activity?” and “What is your favorite subject in school?”. These questions were specifically asked to avoid possibly sensitive subjects like the students’ home lives and backgrounds and we decided these questions were ones that all the students felt as though they could contribute answers to. The group of five girls didn’t question the amount of clay that each person was given. They accepted it to be the amount that they could have. For the first question, the responses were, “science, making things, and art”. For the second questions, the responses were, “math and science, gym, reading”. Some major observations made about this group were that one girl was the main speaker, one did not talk, and the other girls in the group talked for her. When it came to working with the clay, the girls began to use other objects as tools to transform the clay. For example, they began to use their pencils as a tool to flatten out the clay. The first group of boys consisted of four boys. When they were given the clay, they had different behaviors than the girls. They began to ask for more and more clay, and focused on making food objects out of the clay. They four all had gym class as their favorite subject along with math and music. They wanted rulers to squish their clay. Soon they began to grab at each other’s clay and kept asking for more. They mostly focused on the clay rather than the conversations. One student was very creative about making things with the clay like a brain, ice cream, and a sword. They eventually started a game to try to throw the clay back into the bucket. They used basketball references as a point system. The last group, a group of five boys, was more violent with their clay. They would bash it a lot. 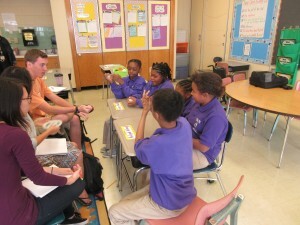 Their favorite subjects were reading, gym class, and science. One student made a kidney bean out of clay and went around asking if people needed surgery for kidney failure. 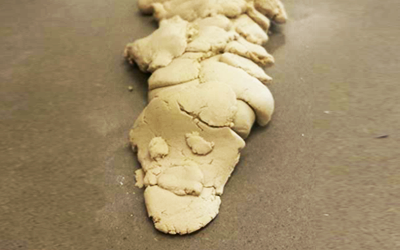 After reflecting on this visit, we decided that the clay was successful as an activity. We were able to observe how enthusiastic and eager the students were to make something with their hands and even create stories with their individual creations. We wanted to encourage and continue the ability of the students using their creativity in our future visits. In the future, we determined that it would be helpful to lightly direct the students toward an end goal with a prompt, rather than leaving it completely open-ended. For example, asking them to make something within a range of options rather than giving the sometimes overwhelming option of anything.